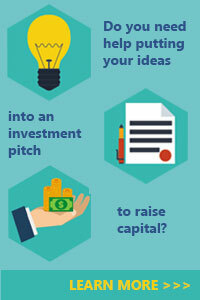 California Investment Network - Connecting California Entrepreneurs and Investors. Welcome to the California Investment Network. We are an online matching service connecting California entrepreneurs looking for funding with investors looking for profitable business opportunities. There are no fees to join so register today as an entrepreneur or investor and become a part of the California Investment Network community. I'm a venture capital deal person that invest directly and also raises capital through a group of high net worth investors Ive formed. My primary role is structuring and procuring private equity investments, either directly or through participations in Private Placement transactions. Prior to becoming independent in 2005, I worked in the Canadian private equity markets raising capital for companies in the mineral resource space. I was a managing partner in a private equity firm, and have also worked for a investor relations firm Canada. I have over 10 years of experience in areas of finance, going public consulting, recruitment and management consulting. I work for a company and run my auto dealership in San Diego. I choose businesses based on my experience. My firm has helped raise over $200 million in non-dilutive capital for companies over the last 9 years. We specialize in finding cash grants from cities and states that are willing to invest in your product, idea and existing business as long as you move the labor intensive portion of your business to their city. In order for you to qualify you must be able to create 100 jobs over a 5 year period and be able to move the business to a state that is willing to invest in your company. I am a motivated entrepreneur that has had success in real estate development and other various construction industries. I have recently gone into an early retirement, focusing my time and efforts in sourcing passive investment opportunities. Primarily I have focused my business ventures in Southern California, but I am looking to expand my investment portfolio from simply domestic real estate investments to international markets. I am interested in getting in touch with entrepreneurs that have found niche markets for real estate development, even in the downturn in the global economy. Ilook forward to hearing about the opportunities that are out there. I am a business owner with 10 plus years of active experience and I am now starting out as angle investor. I have a keen understanding of what small businesses need to succeed and I am willing to get involved with the right entrepreneur. A trust with assets in excess of $5 million, income exceeding $200,000 in each of the two most recent years or joint income with a spouse exceeding $300,000 for those years. Looking for investment opportunities.